Watchet is a small village, tucked on the North Somerset coast just to the north of the seaside town of Minehead at the foot of Exmoor National Park. 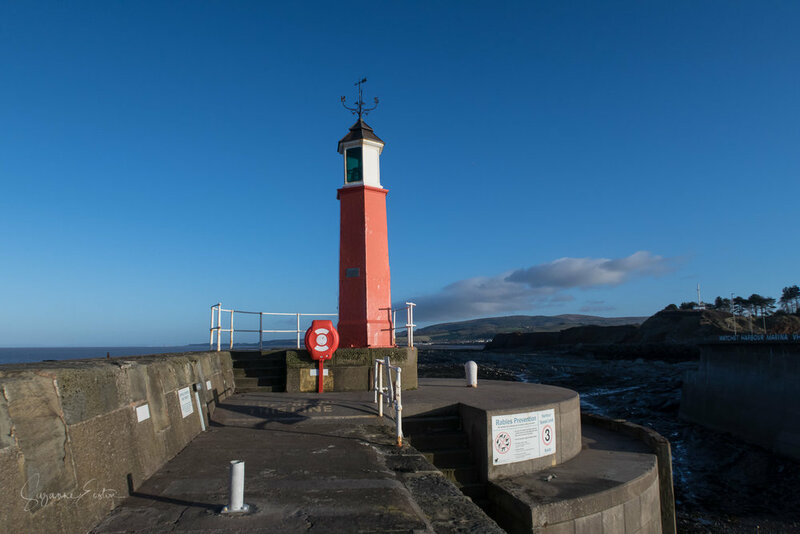 This lighthouse is accessible from the sea front and is completely family friendly. A harbour has been in this location since Anglo-saxon times and by the 16th Century a jetty had been built although this met its end in a storm in 1659. As the village became more important in the 17th Century stronger structures were built to help with the export of wool and kelp. This trade continued as well as the export of iron ore to Ebbw Vale across the Bristol Channel. Two railways terminated at the harbour and to accommodate this trade a stone breakwater was built in the 1860's. In 1862 the unique little lighthouse was built on the end of the west breakwater. The harbour was large enough to manage 500 tonne ships and trade continued until the mid-1960's when the move from coal to oil in industry changed the way trade was carried out. 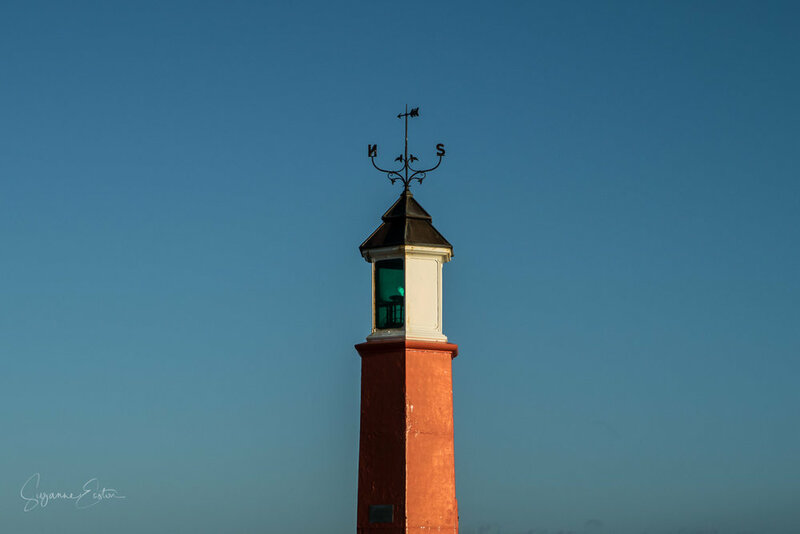 The red hexagonal lighthouse was built by Hennet, Spink and Else who were based in nearby Bridgwater to a design by James Abernethy. It cost a grand total of £75. The oil lamp was supplied by Messrs Stevens & Sons of London. This cost more than the tower at £90. The lamp is white with green lens. On top of the tower and lamp is an ornate weather vane. In 1900 there was a storm which damaged the harbour and the light was taken over by Watchet Harbour Authority. The lighthouse was re-erected on the new breakwater in 1905. At this time the lamp was upgraded so that it gave an occulting green light every three seconds which can be seen nine miles out into the Bristol Channel. This light doesn't flash like a traditional lighthouse and marks the entrance to the harbour. The lighthouse is at the end of the breakwater and can be visited at any time. There are no barriers and the drop into the harbour is significant so small people would need supervision. Parking is available in the village, but remember change for the meters. Charges are in force every day of the year from 9am-6pm. This lighthouse is really pretty and looks great most of the day. 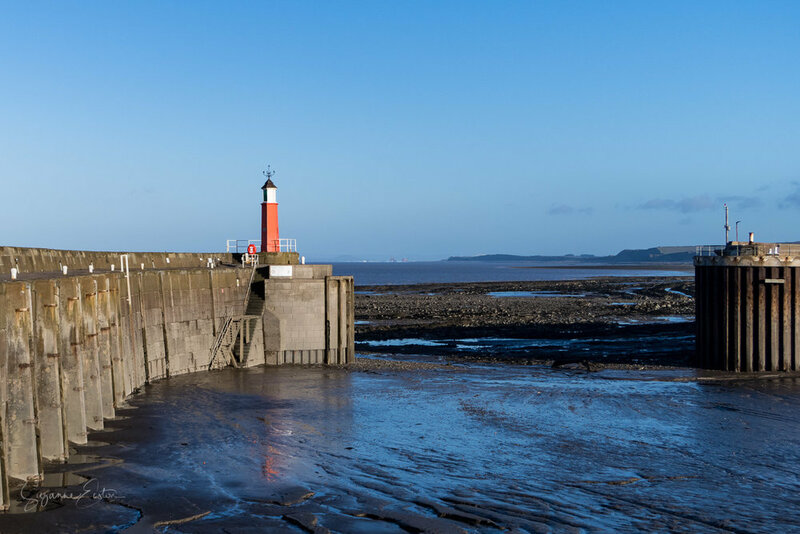 The lighthouse is located on the westerly breakwater which heads out into the Bristol Channel in a northerly direction. Sunrise is best viewed from the coast behind the harbour itself. The breakwater continues along the back of the small beach and locations are varied along West Street and up towards Cleeve Hill. 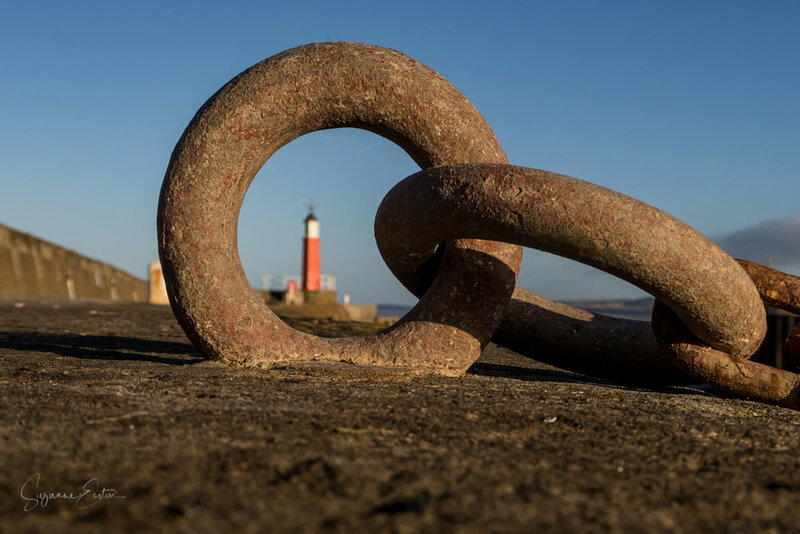 Along the breakwater there are lots of remnants of the past. Metal rings and bollards are really useful props for getting a great shot. Moving along towards the east breakwater, views across the marina are plentiful. At low tide this can be a bit of a mud flat so high tide is the optimal time. There are lots of reflections as well as boats to include. A walk to the end of the east breakwater through the boatyard gives views across the harbour entrance to the lighthouse. Again this is best tackled at high tide. This is also a good location for longer exposure shots with a coloured sunset sky.